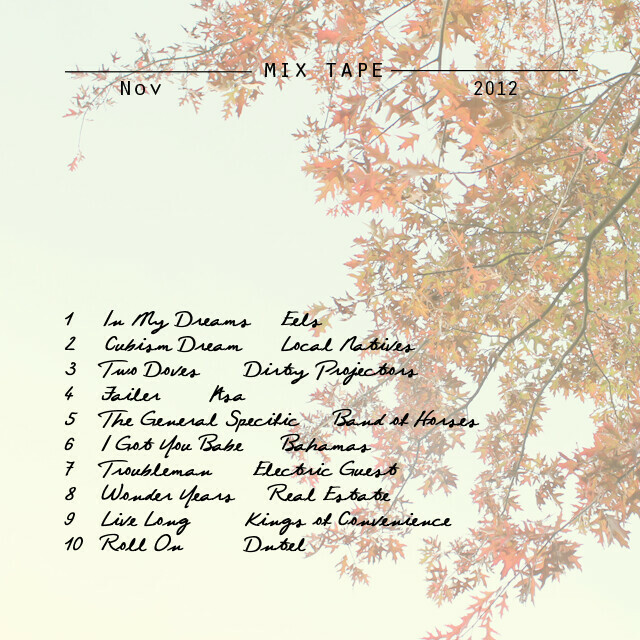 This month's mix tape would (and should have) been the soundtrack to this past weekend at home. Wake up, enjoy a cup of coffee or tea, plop onto the sofa, read a book, do some light chores, plop back onto the sofa, read some more....you get the picture. It's a little mellow and a little up beat, enjoy it as things wind down for the holiday season. Click here or the sidebar player to tune in. Happy listening! P.S. today is the last day to enter to win a photo print from my new print shop! winners will be announced tomorrow.